WASHINGTON, -- A US official has confirmed that China has deployed surface-to-air missiles on a disputed island in the South China Sea, as the United States expressed growing concern over China's increased "militarization" in the region. Fox News said earlier in the week that images showed two batteries of eight missile launchers and a radar system had arrived on Woody Island, the Paracels’ main island. "We believe the photos are accurate and that China has deployed SAMs to Woody Island," a US official told AFP, referring to surface-to-air missiles. The official said the missiles appeared to be HQ-9s, which have a range of about about 125 miles (200 kilometres). Experts say they could be used to target enemy aircraft. The reports came as Obama and Southeast Asian leaders issued a joint statement calling for the "peaceful resolution" of the myriad competing claims over islands, atolls and reefs. 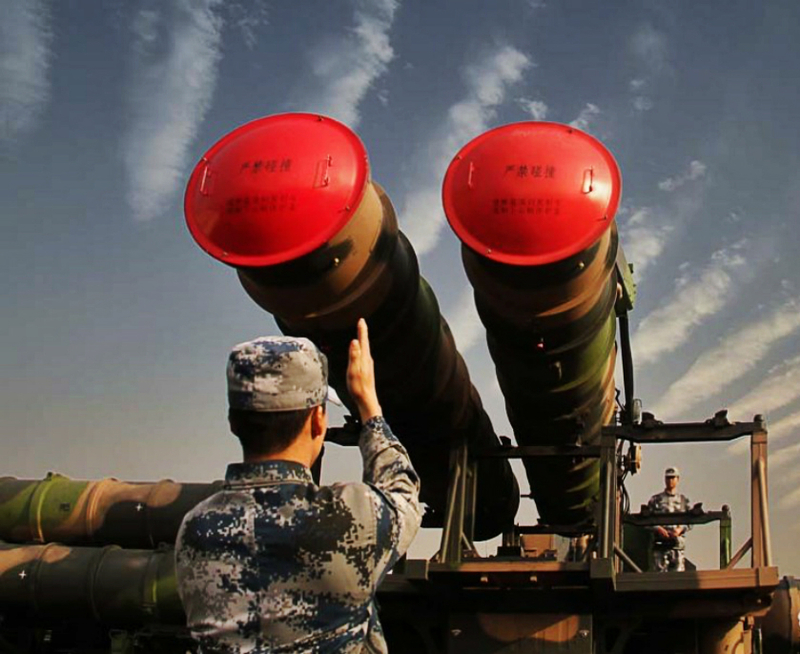 Beijing has insisted it has a right to build "self-defence" systems in the strategic region. Beijing has controlled all of the Paracels, which are also claimed by Hanoi and Taipei, since seizing several from South Vietnam in a brief, bloody battle towards the end of the Vietnam War. But tensions in the sea -- through which a third of the world’s oil passes -- have mounted in recent months since China transformed contested reefs in the Spratly Islands further south into artificial islands capable of supporting military facilities. Washington says the move threatens free passage in a strategically vital area and has sent warships to sail close to the disputed islands to assert that right. Analysts said the latest deployment could be an attempt to deter such freedom of navigation operations. Australian military aircraft also routinely overfly the area. The People's Republic of China HQ-9 medium- to long-range, active radar homing surface-to-air missile.